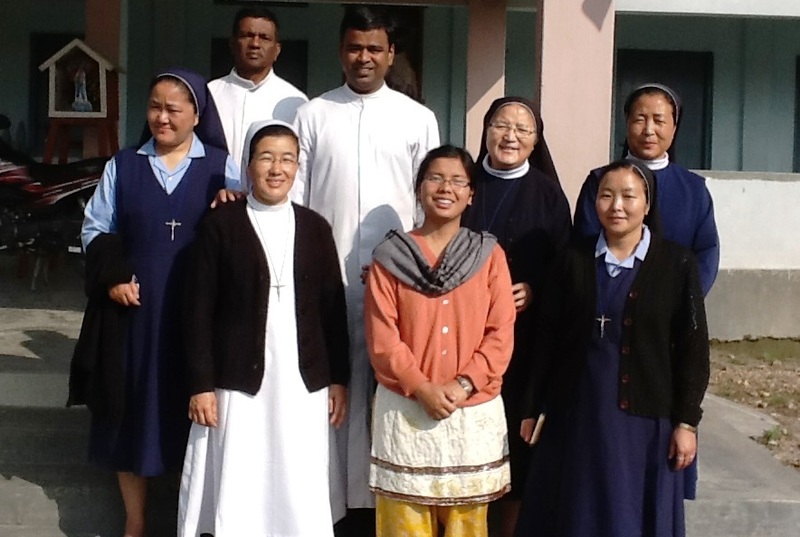 10th July, Dambuk, Medo, Miao: The Diocese of Miao extends a warm welcome to the Sistes of St. Joseph of Cluny to Dambuk Mission, the Sisters of St. Joseph of Chambery to Medo, and to the Sisters of Our Lady of Garden to the Kulam Mission in Lazu Parish. The Sisters of St. Joseph of Chambery were also accompanied by their Provincial Sr. Lorren to the Medo Mission Station. Sr. Rashmi is the Superior and Srs. Vera Fernandes, Siby Chacko and Prabha Toppo constitute the community. It is their second community in our Diocese, the community in Tezu being the other. The Sisters of Our Lady of Garden too have joined us. They have opened a Community in Kulam Mission Station. Sr. Anjali Karottupalackal is the Superior and Srs. Mamtha Ekka and Reena Bara form the community. As we welcome them all to our Diocese, we wish God’s Blessing on them and on thier Missions.